A source of broad spectrum (white), blue, green, yellow, orange/IR, and red light for optics demonstrations and experiments. Operates from two CR2032 batteries (included). Size 3.6 x 2.6 x 1.1 in. Compact and easy to store. Buy a unit for every experiment station in your teaching lab. 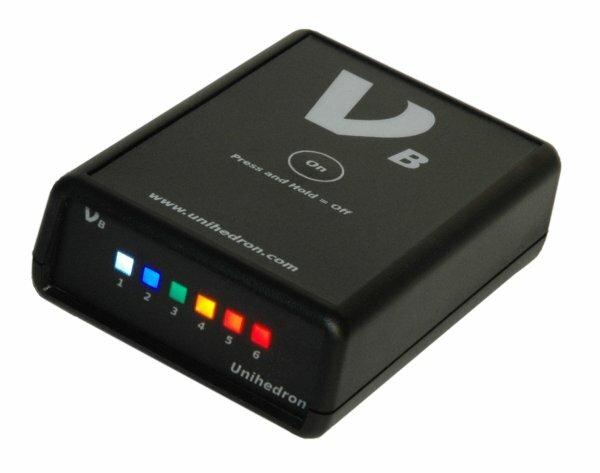 Nu-B-color, All LEDs are visible (white, blue, green, yellow, orange, and red). View instruction sheet. Nu-B-IR, One IR LED included (white, blue, green, yellow, red, and infrared). View instruction sheet. Nu-B, Version 1.0. View instruction sheet.